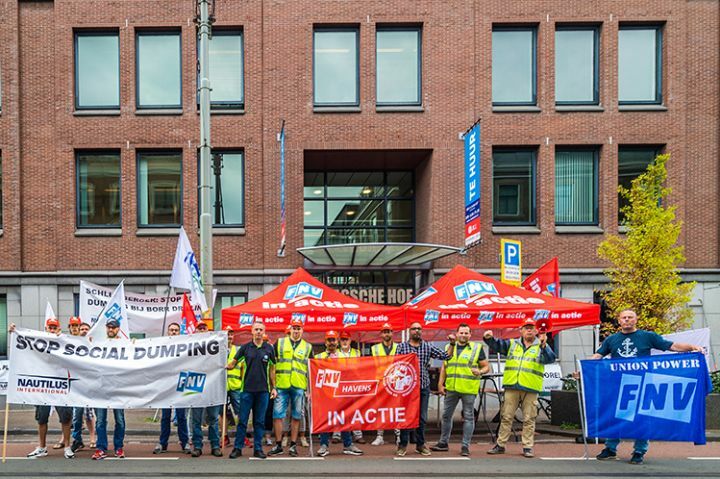 Threatened with dismissal when their company was taken over by Borr Drilling, a delegation of Paragon staff from Beverwijk (NL) held a demonstration on 9 August in front of the office of Borr Drilling’s largest shareholder: Schlumberger, in The Hague. The demonstration was a joint action of Nautilus International and FNV. They called on this investor to urge Borr Drilling’s management to stop social dumping. They also wanted to discuss this with the Schlumberger management. However, Schlumberger indicated that it did not want to start a conservation.